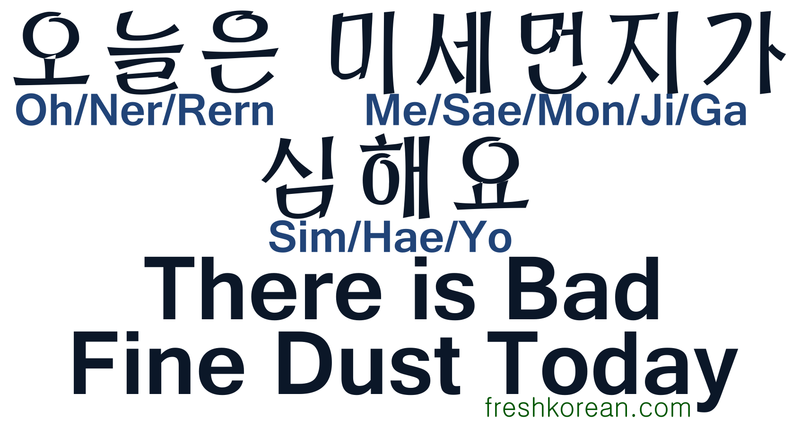 Basic Korean Conversations are back! It’s been a long time since conversation 9, but due to continued interest we decided to continue the series. 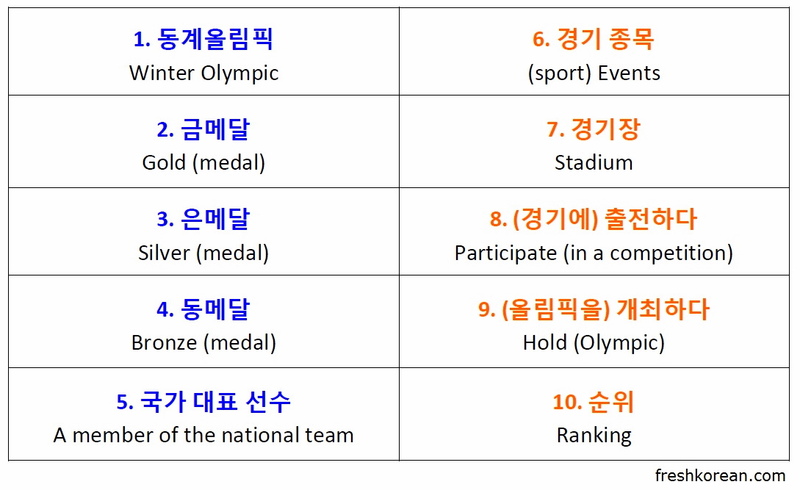 So please enjoy this our tenth free basic Korean conversational printout / download. 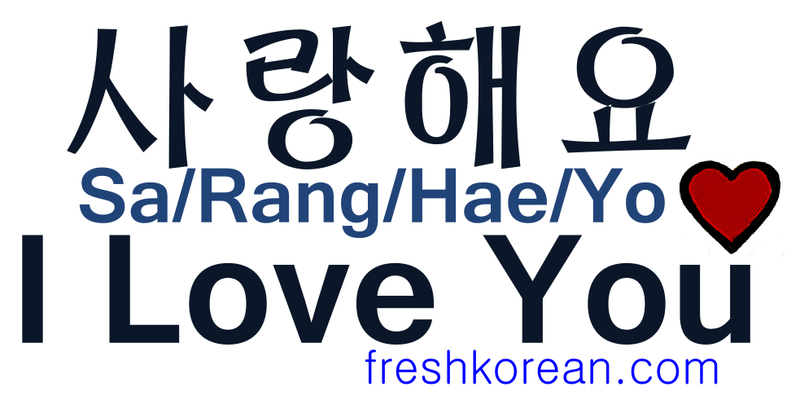 The conversation is in Korean (Hangul), English and romanized English. 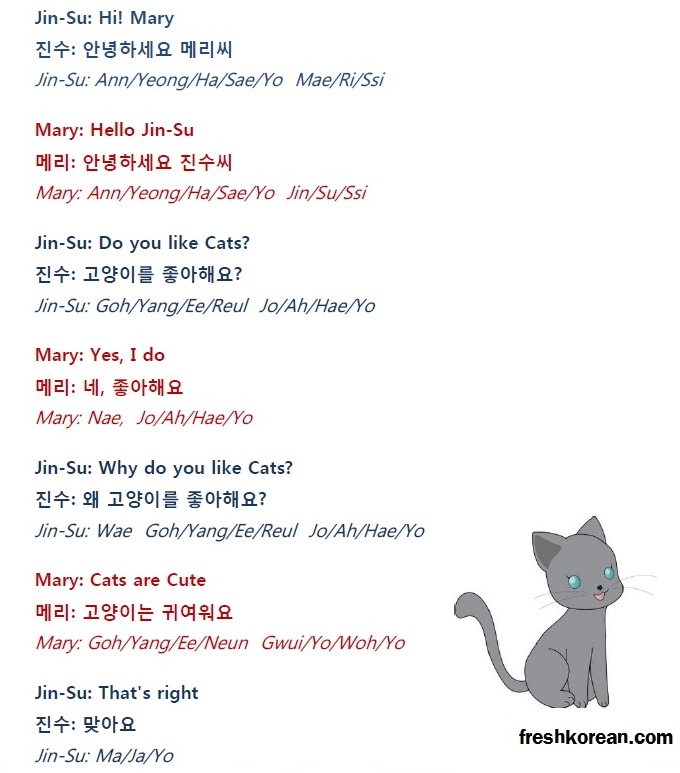 This basic Korean conversation is between two people “Jin Su & Mary”, they are talking briefly about Cats and why they like them. We started this series 8 months ago and we’re now moving well past the 100 mark and hopefully will soon reach the magic 150 point. Here is what we’ve posted recently, phrases 131 to 140. 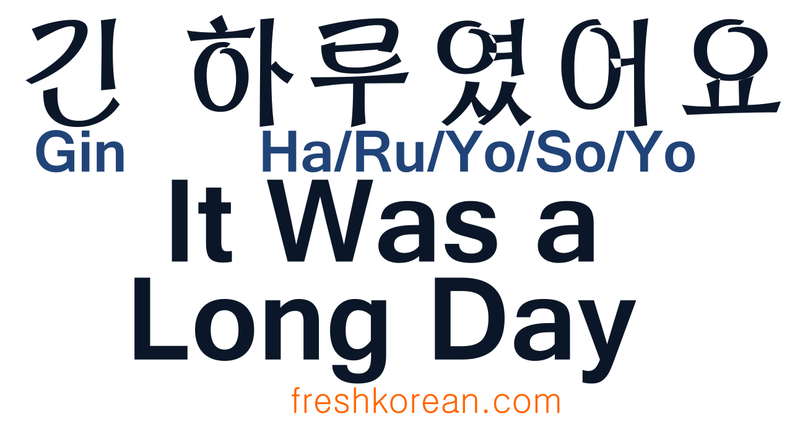 Fresh Korean Phrase 137 – When does the Last Bus Arrive? 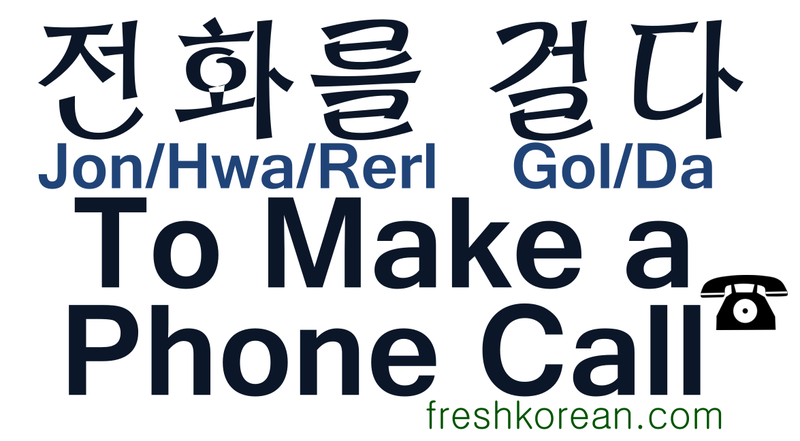 Fresh Korean Phrase 140 – Do You Have a Map? For the previous recap set “121 to 130” PLEASE CLICK HERE. We’re now moving forward quickly into the the 100’s and trying to catchup with what we’ve posted online. Here is what we’ve posted recently, phrases 121 to 130. 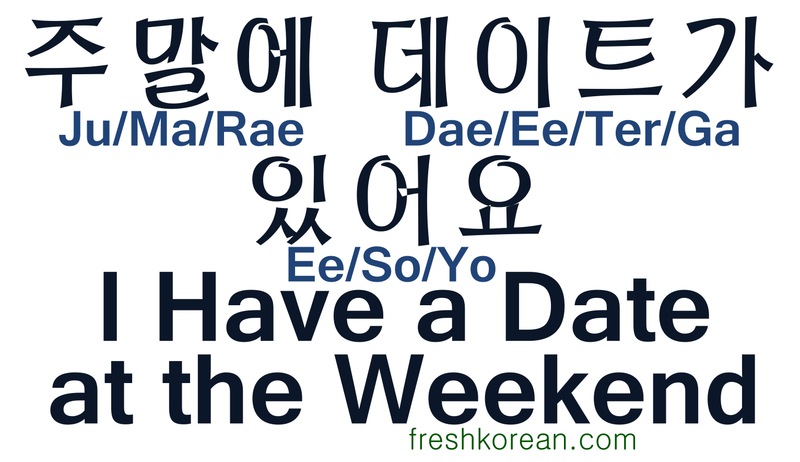 Fresh Korean Phrase 122 – Are you going to your hometown for Lunar New Year? 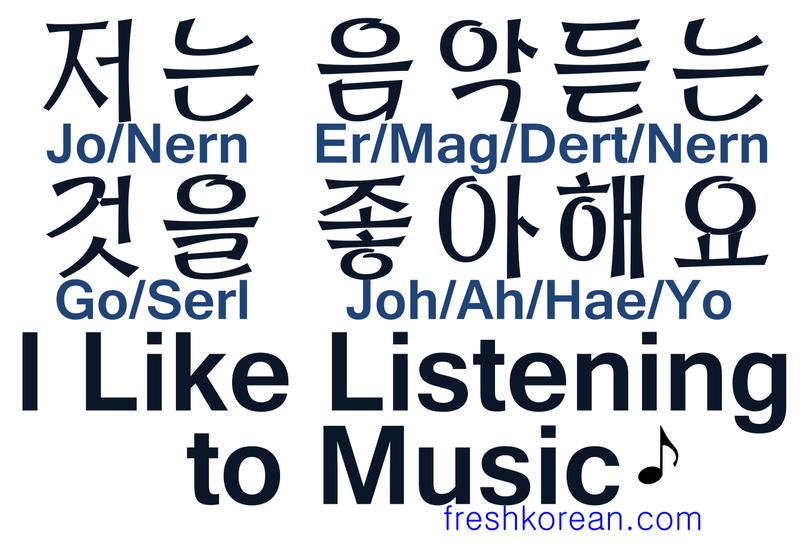 Fresh Korean Phrase 129 – Do you know that Person? For the previous recap set “111 to 120” PLEASE CLICK HERE. 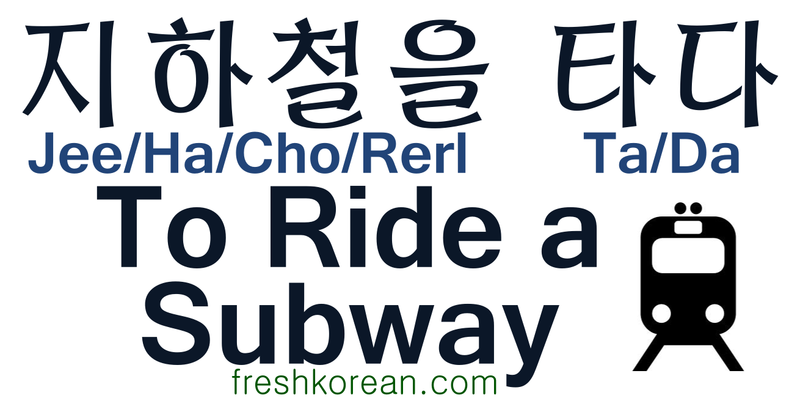 Taking trains and subways is part of everyday life here in South Korea. Therefore either whilst living in or just visiting it’s useful to learn the basics to help to get around and not get stuck/lost. 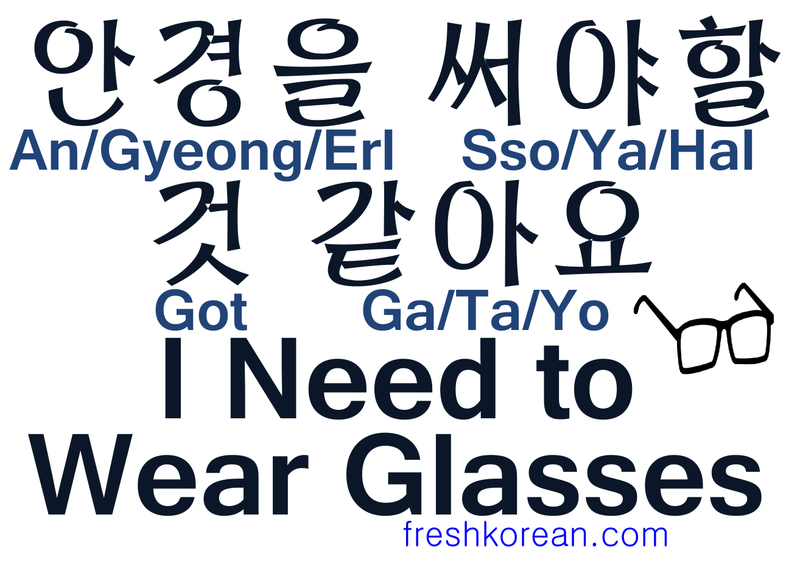 In South Korea many signs maybe in English but it isn’t always clear and of course people don’t always speak English. These phrases and vocabulary can also be used within situations and are mostly in a formal or at least polite form so if you have an issue they can be very useful. 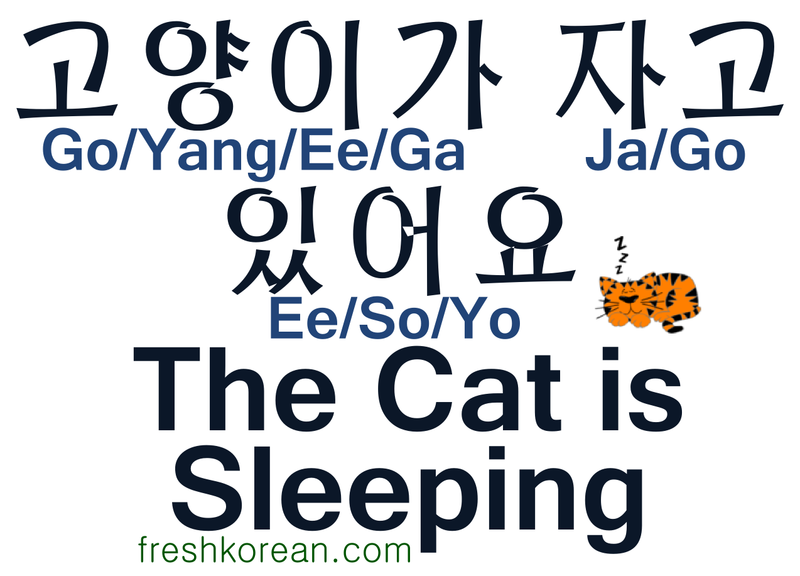 Here is what we’ve posted recently, phrases 111 to 120. 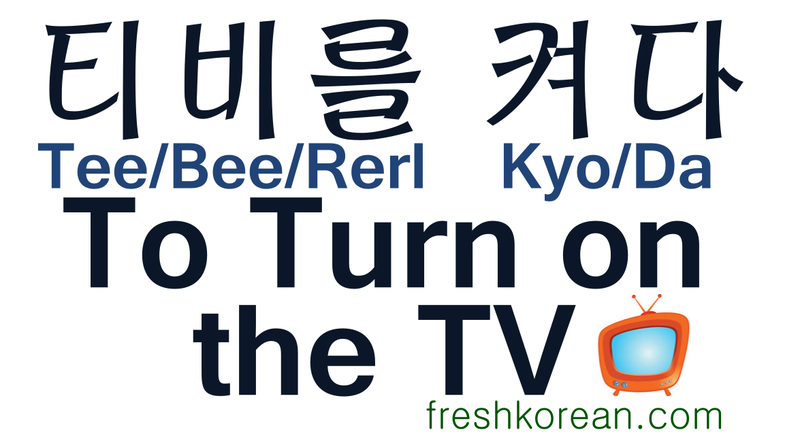 Fresh Korean Phrase 119 – Where is the nearest bus stop? For the previous recap set “101 to 110” PLEASE CLICK HERE.